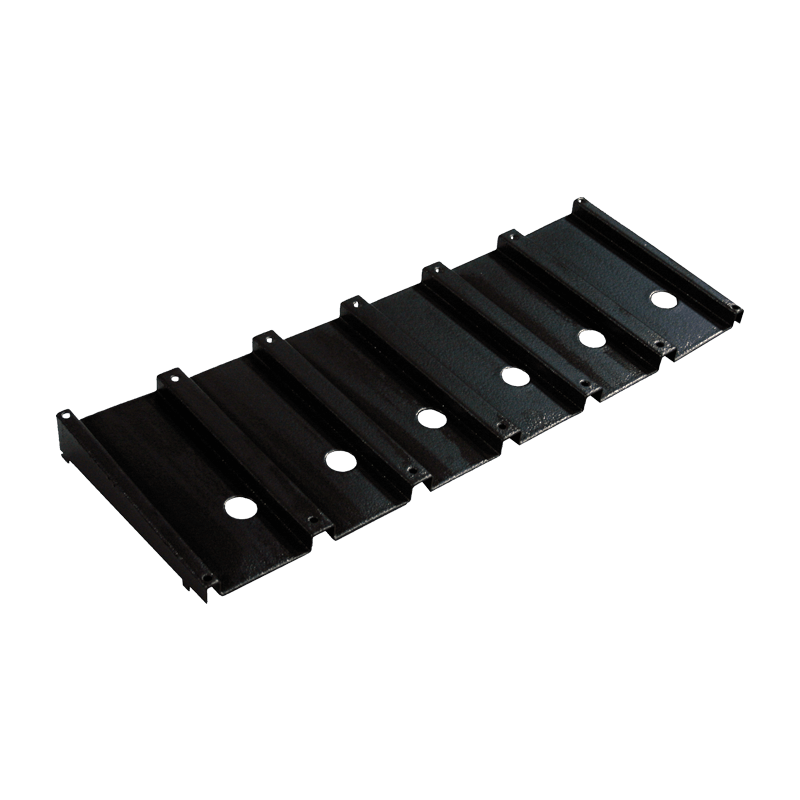 UWR Intermediate Half Shelf 10 Base: Mounting Brackets – Constructed of 14-gauge (.075 in/1.90mm) steel with powder coat finish. 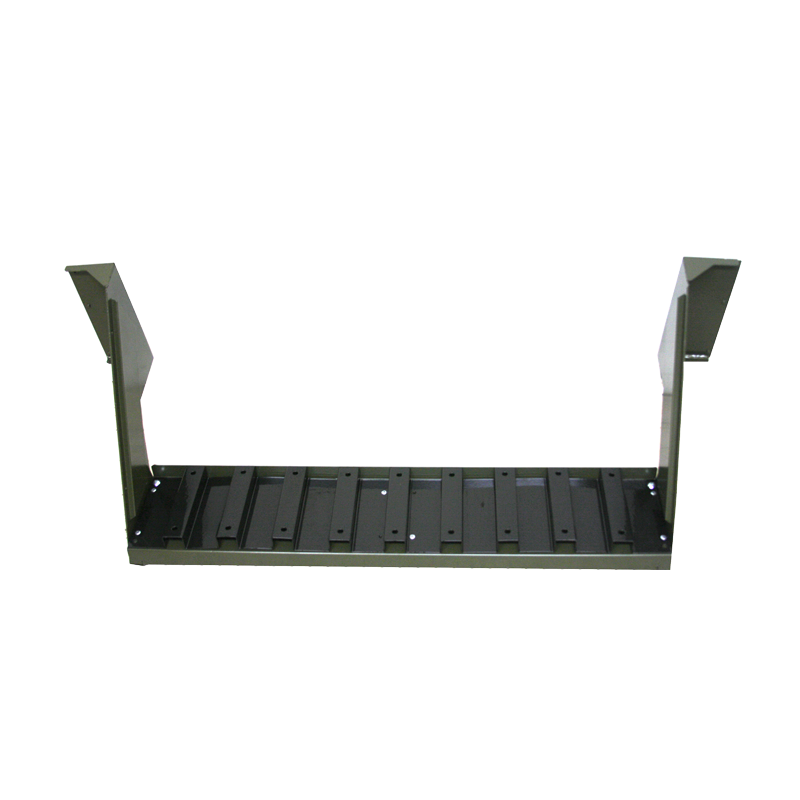 Shelf – Constructed of 16-gauge (.060 in/ 1.52mm) steel with powder coat finish. 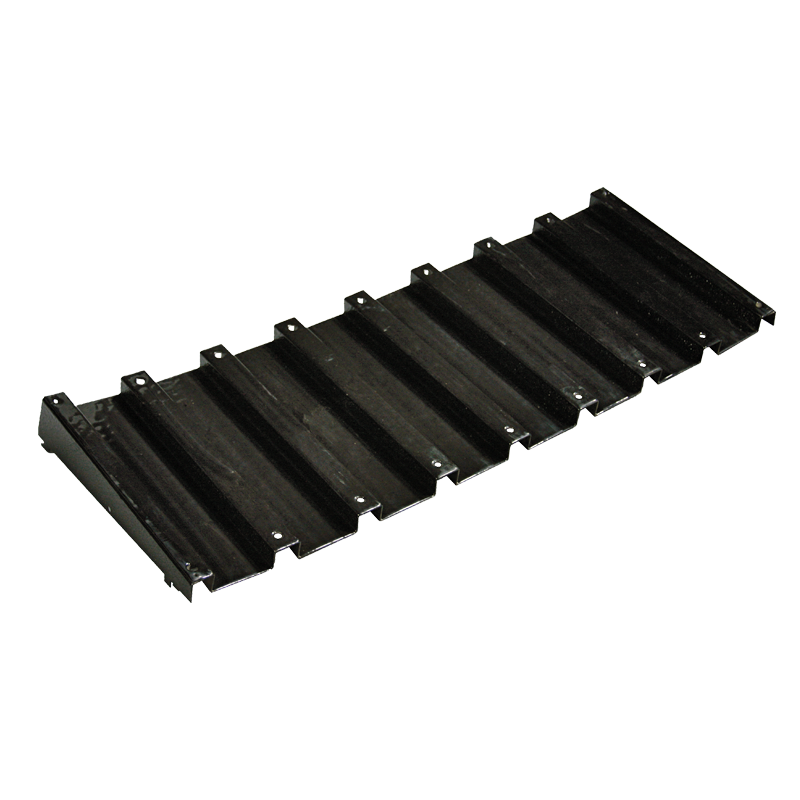 Base – Constructed of 16-gauge (.060 in/1.522mm) steel with black thermoplastic coating. 10 stock rest positions. Full width horizontal half shelf for storage of 10 weapons. Back thermoplastic coating to protect weapon. Universal Weapons Rack 10-Weapon Base. 10 Weapon Base: 10 stock rest positions. Constructed of 16-gauge (1.5mm) steel. Black thermoplastic coated. Mount inside the bottom of the cabinet and serve as gun stock rests. Universal Weapons Rack pre-configured base for storing two (2) M2’s and four (4) spare M2 barrels. 2 M2 Weapon & 4 Barrel Base: Accommodates four (4) extra barrels in addition to its two (2) gun stock positions (designed specifically for M2’s). Constructed of 16-gauge (1.5mm) steel. Black thermoplastic coated. Mount inside the bottom of the cabinet and serve as gun stock rests. 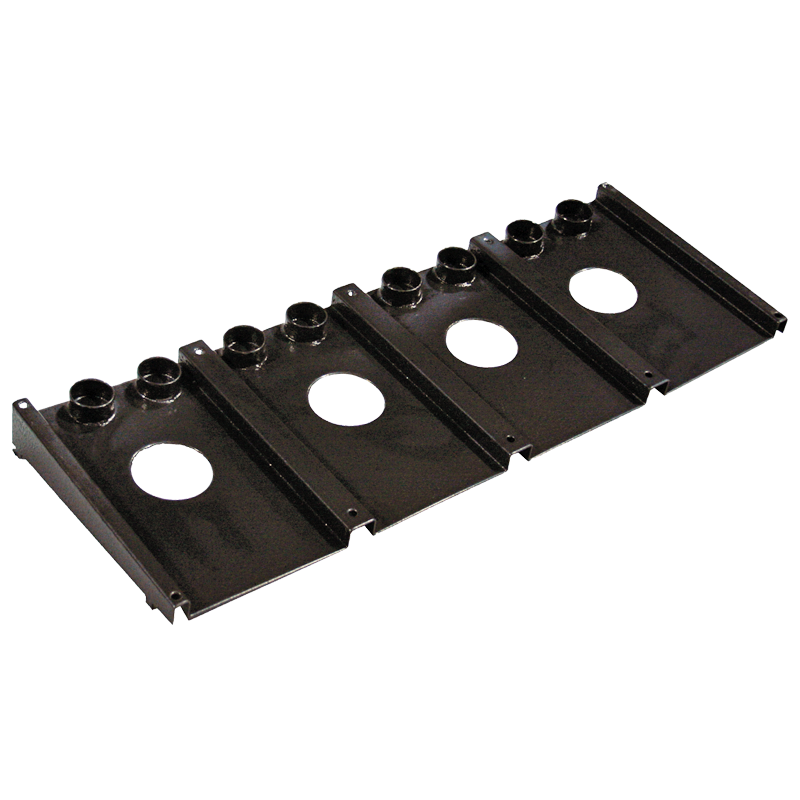 Universal Weapons Rack pre-configured base for storing four (4) M2’s and eight (8) spare M2 barrels. 4 M2 Weapon & 8 Barrel Base: Accommodates four (8) extra barrels in addition to its two (4) gun stock positions (designed specifically for M2’s). Constructed of 16-gauge (1.5mm) steel. Black thermoplastic coated. Mount inside the bottom of the cabinet and serve as gun stock rests. 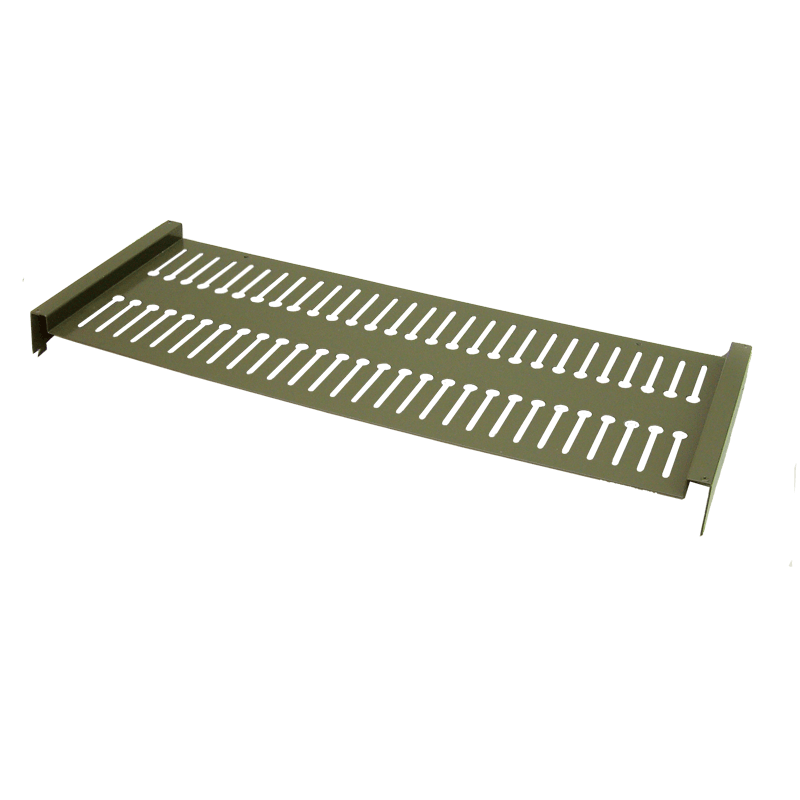 Universal Weapons Rack 4-Weapon Base. 4 Weapon Base: 4 stock rest positions. Constructed of 16-gauge (1.5mm) steel. Black thermoplastic coated. Mount inside the bottom of the cabinet and serve as gun stock rests. 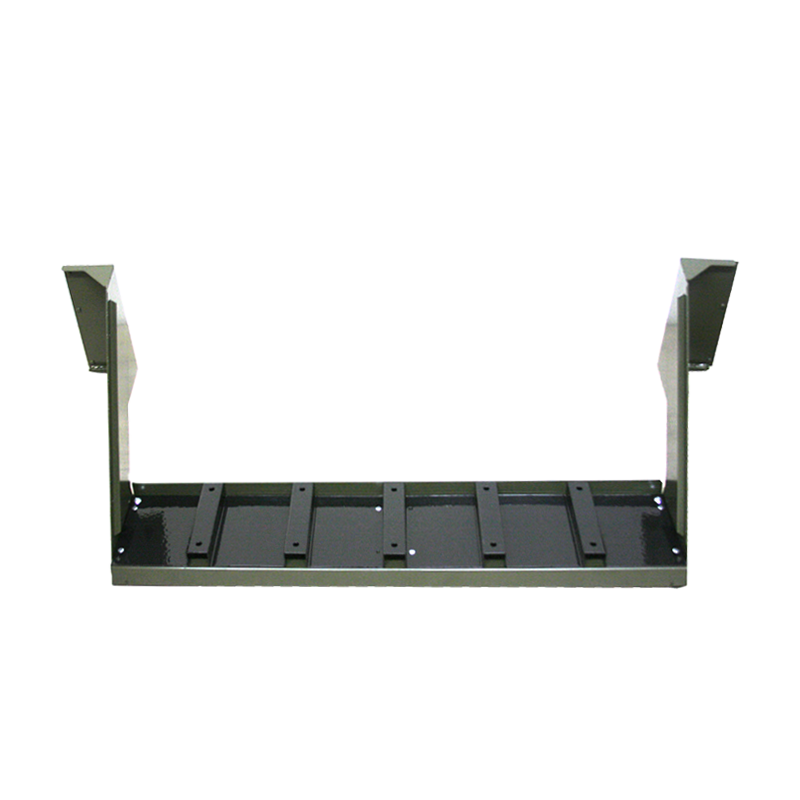 Universal Weapons Rack 4-Weapon Base for 76″ high and 24″ deep specialty cabinet. Ideal for GAU-18 (50 cal) and M3P (50 cal) storage. 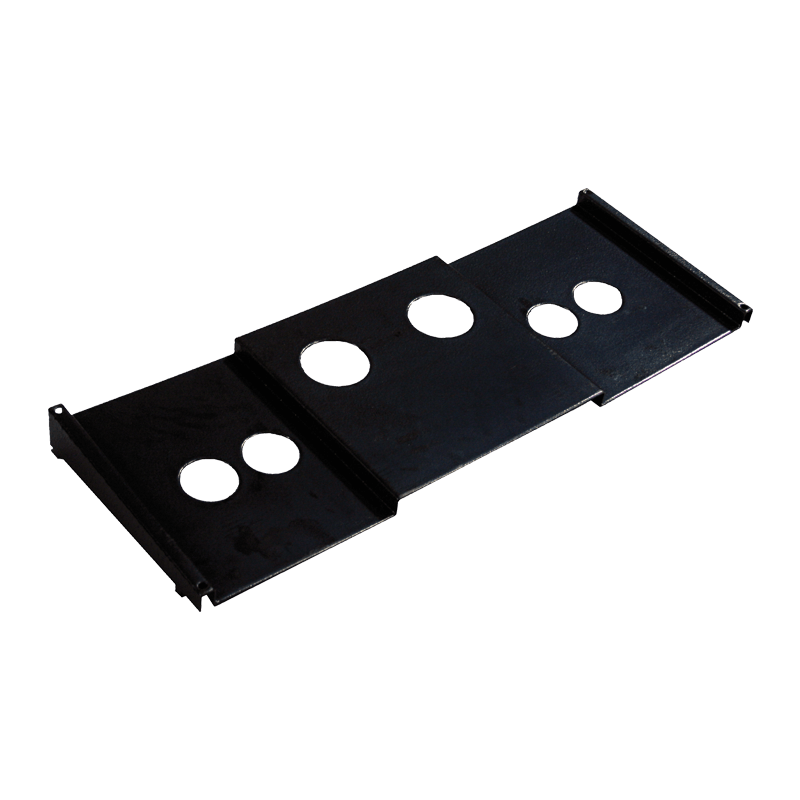 4 Weapon Base For 24″ Deep Cabinet: Constructed of 16-gauge (1.5mm) steel. Black thermoplastic coated. Mount inside the bottom of the cabinet and serve as gun stock rests. Universal Weapons Rack 5-Weapon Base. 5 Weapon Base: 5 stock rest positions. Constructed of 16-gauge (1.5mm) steel. Black thermoplastic coated. Mount inside the bottom of the cabinet and serve as gun stock rests. Universal Weapons Rack 6-Weapon Base. 6 Weapon Base: 6 stock rest positions. Constructed of 16-gauge (1.5mm) steel. Black thermoplastic coated. Mount inside the bottom of the cabinet and serve as gun stock rests. Universal Weapons Rack 7-Weapon Base. 7 Weapon Base: 7 stock rest positions. Constructed of 16-gauge (1.5mm) steel. Black thermoplastic coated. Mount inside the bottom of the cabinet and serve as gun stock rests. Universal Weapons Rack 8-Weapon Base. 8 Weapon Base: 8 stock rest positions. Constructed of 16-gauge (1.5mm) steel. Black thermoplastic coated. Mount inside the bottom of the cabinet and serve as gun stock rests. 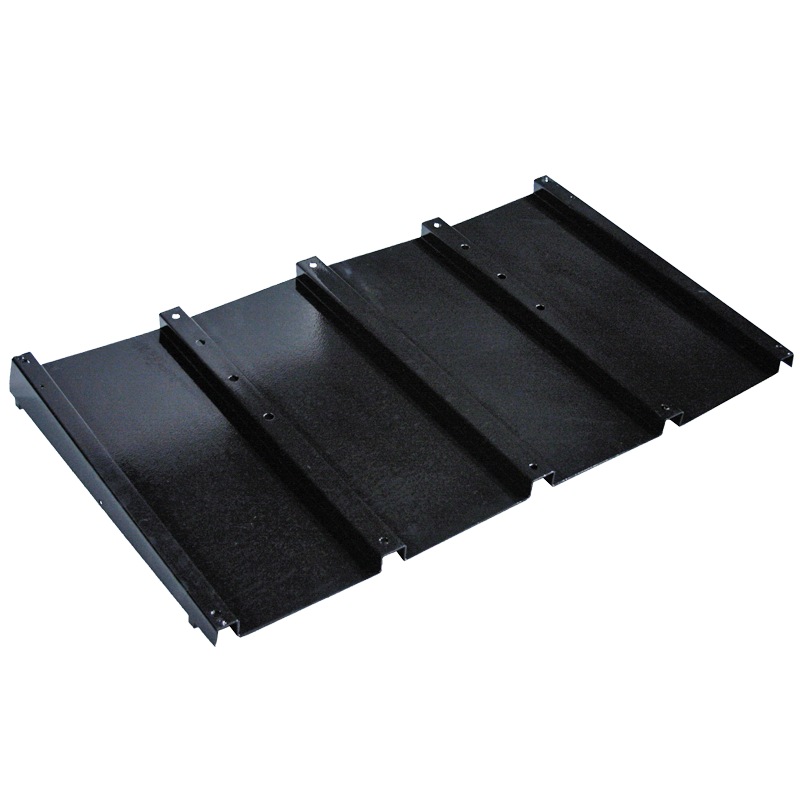 Universal Base for 42″ wide UWR cabinet. Use in conjunction with stock cups. Universal Base: Accommodates many weapons by merely changing the location of the stock cups. 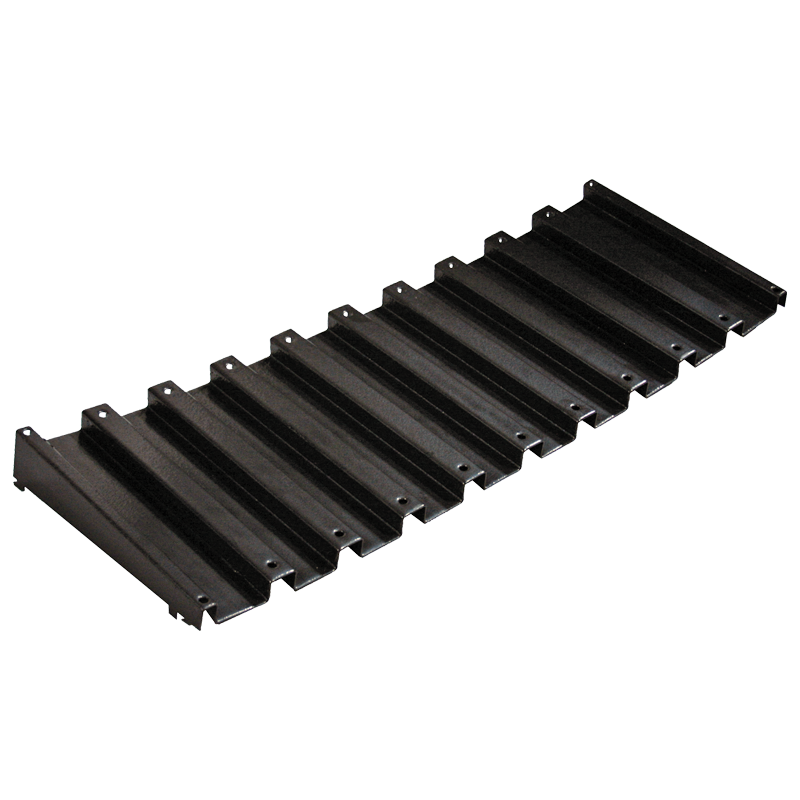 Bases are constructed of 16-gauge (1.5mm) steel. Stock cups for the universal base are constructed of an injection-molded thermoplastic designed to withstand extreme temperatures. 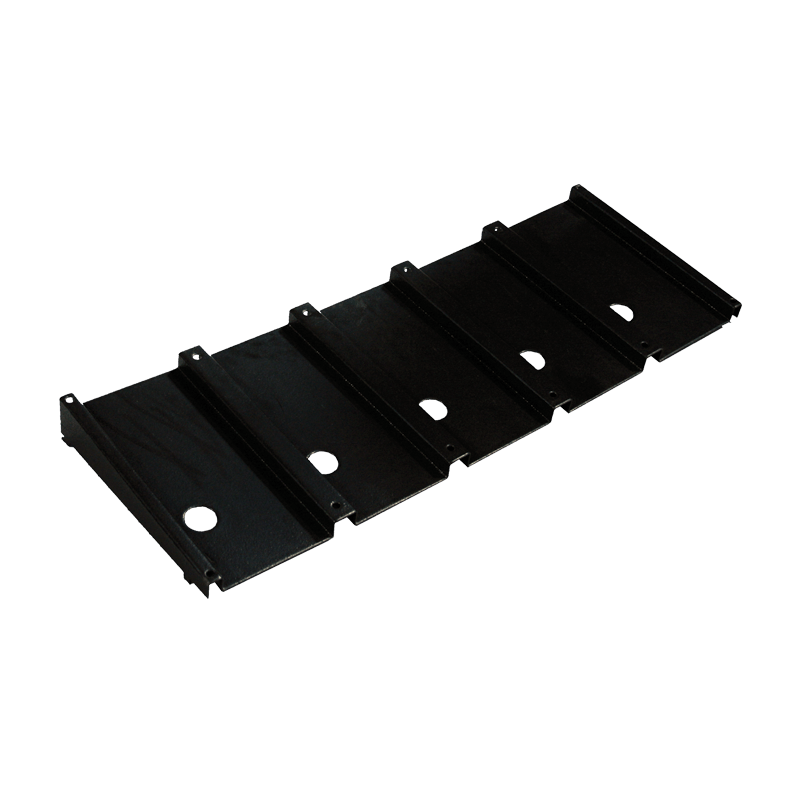 UWR Intermediate Half Shelf 6: Mounting Brackets – Constructed of 14-gauge (.075 in/1.90mm) steel with powder coat finish. 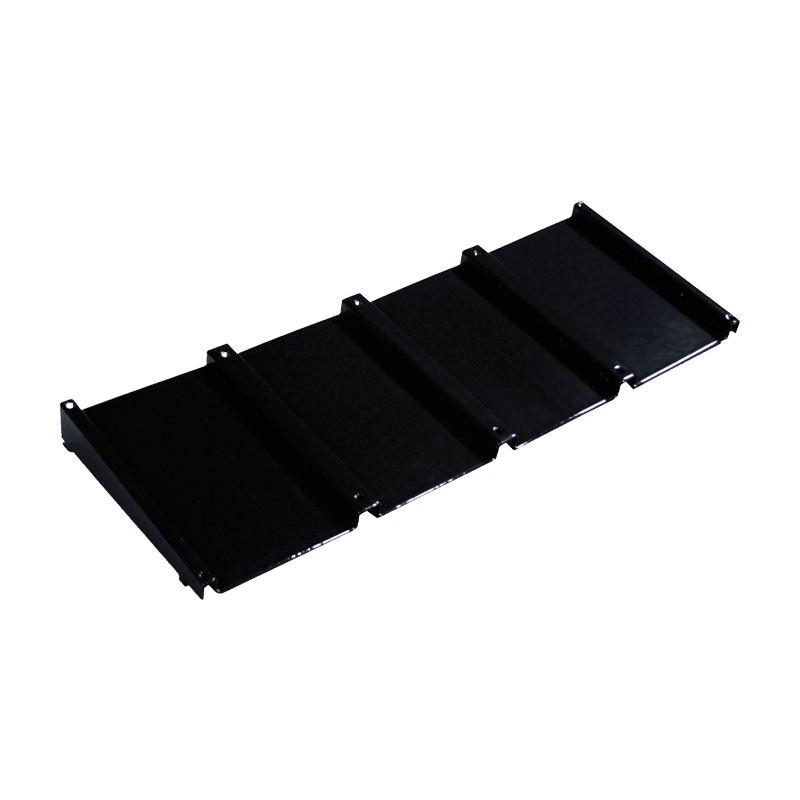 Shelf – Constructed of 16-gauge (.060 in/ 1.52mm) steel with powder coat finish. 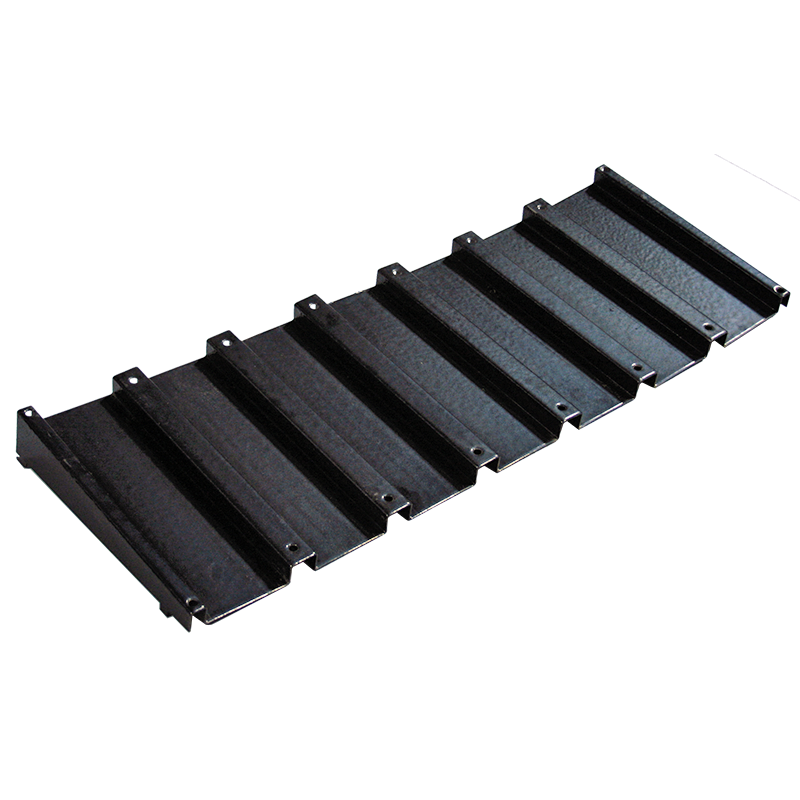 Base – Constructed of 16-gauge (.060 in/1.52mm) steel with black thermoplastic coating. Six stock rest positions. Full width horizontal half shelf for storgae of 6 weapons.